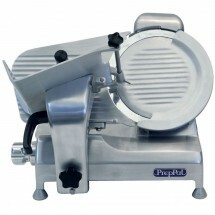 Atosa PPSL-12HD Heavy Duty Slicer 12"
TigerChef > Food Preparation > Commercial Slicers >< Meat Slicers > Atosa PPSL-12HD Heavy Duty Slicer 12"
$3,539.93 Omcan (FMA) 13641 Omas Manual Gravity Feed Meat Slicer 12"
$4,211.41 Omcan (FMA) 13634 Volano Manual Slicer with Flywheel 12"
$819.00 Atosa PPSL-12 Compact Manual Slicer 12"
$494.00 Atosa PPSL-10 Compact Manual Slicer 10"
$1,284.00 Atosa PPSL-14 Compact Manual Slicer 14"
Perfect for delis, butcher shops, or restaurants, the Atosa PPSL-12HD Heavy Duty Manual Slicer 12" is ideal for slicing processed meat, vegetables, or cheese. 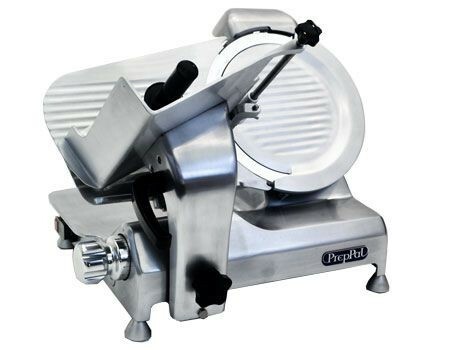 Designed to provide precise and consistent slices, this manual slicer is equipped with a razor-sharp 12" special alloy knife with an index knob control to quickly adjust your cut size. Thanks to its top-mounted, all metal removable knife sharpener with (2) high quality stones, you can easily maintain the knife's razor-sharp blades. To ensure a quiet operation while delivering a high-end performance, this unit features a 1/3HP knife motor with permanently lubricated ball bearings. 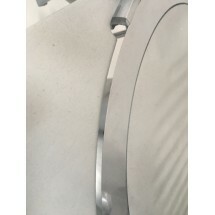 For ease of use, this slicer has an angled feed food chute that uses gravity to hold the product against the knife, allowing you to apply less pressure while ensuring consistent results. 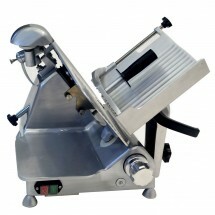 For optimum operator safety, this manual slicer has a knife cover interlock, permanent ring guard with removable cover and deflector, and power switch that prevents reactivation of slicer in the event of power or interlock interruption. 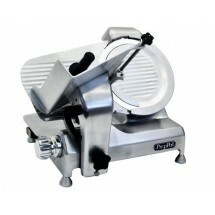 A powerful yet practical option for small, busy kitchens, this heavy duty manual slicer has a compact design while its sealed splash zones provide added sanitation and protection of electronics.